The C.A.R.E. ministry is the testimony of what God led a congregation of believers – much like you – to do. It was and is an incredible, life-changing journey. This journey reflects the heart of our church and its staff and what an awesome God can do through ordinary people that stopped thinking and feeling and started acting and doing. Our only desire is to see God’s people understand the Great Commission and for them to use their God- given spiritual gifts to C.A.R.E. for those around them. We want to see Christians Actively Reaching Everyone. The passion, mandate and vision of any Care Ministry are to demonstrate the loving care of our Savior by ministering to those in need of comfort, care and support. An important aspect of the Care Ministries is equipping and encouraging our entire church body to be involved in providing prayer, love and practical acts of caring for one another. As part of the initiative and in obedience to the Great Criteria (Matthew 25:31-46), the family of All Nations New Testament Church of God Fellowship is committed to vitalize, the caring ministries to respond to God’s call to feed the hungry, clothe the naked, shelter the homeless and visit the sick and imprisoned—in other words, to bring healing to a hurting world and members of the body of Christ. Life is not always easy; in fact, sometimes it can become virtually impossible to navigate. During these hard times in life we need all the love and support we can get, both from God and others. In fact, most often God manifests his presence through others. Being “God’s heart and hands” is the very purpose of Care Ministries. Care Ministries has many ways to minister to the broken and hurting children of God – through, various support groups, hospital and home visits, bereavement meals, care notes, and intercessory prayer. We also celebrate with those in our faith family who are experiencing joyous times through “new baby” family meals and cookie affirmations. 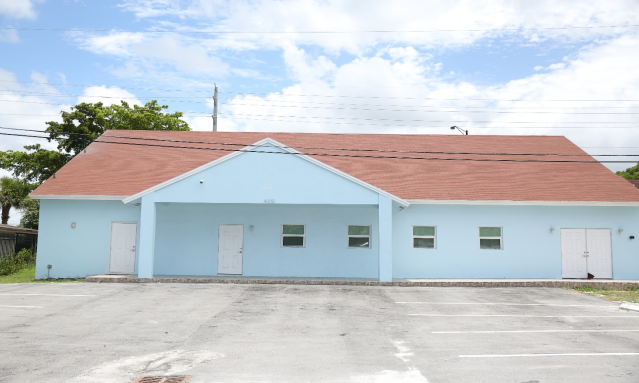 If you need to be held up in prayer or just need a hand to hold, Care Ministries can provide. Let us know your need, and then let God come to you through Care Ministries. Just as Jesus cared for the poor, healed the sick, shared joys and sorrows of friends and strangers, and offered forgiveness and reconciliation to all, we seek to embody Christ’s gracious and sacrificial love in the community and beyond. JOY-spirations for Caregivers is a treasure chest for those who are in the caregiving season that seems to be full of impossible days. This is a much-needed hug for caregivers everywhere! With refreshing honesty, Dellinger and Boerger combine conversations, meditations and delightful artwork to create an uplifting, joyful respite for all caregivers. Caregivers will find hope, encouragement, and heart-wrenching honesty laced through humorous anecdotes, biblical truth, and poignant stories. strong in the Lord. As families spend time together in the Word and prayer, as well as celebrating milestones in their family, they will become healthy families and lights in their community, contributing to a stronger church. 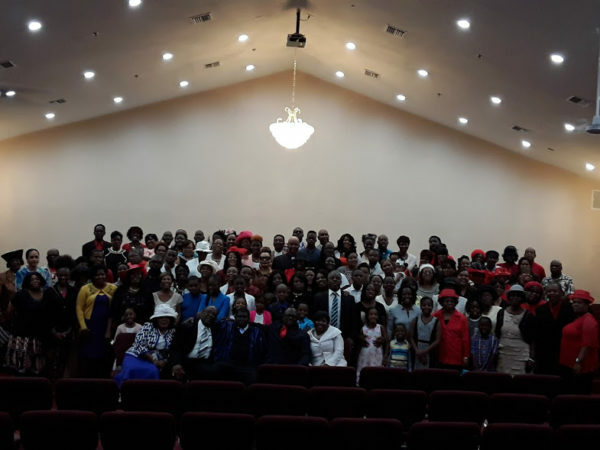 All Nations New Testament Church of God Fellowship, Family Training Hour (FTH) is a midweek evangelistic and educational program sponsored by the local church to provide personalized, age-level training for each member of the family. The Family Training Hour sets forth a structure to provide each member of the family with a sense of belonging, to help develop talents, channel the desire to serve, promote spiritual growth, and train for Christian service. 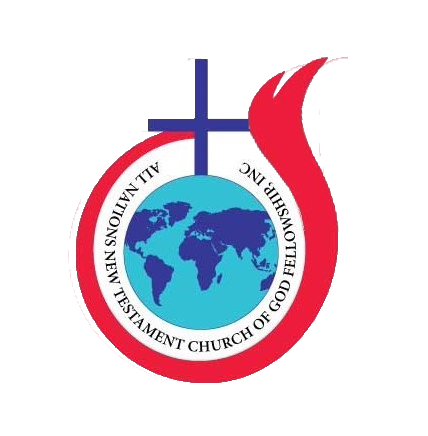 We at All Nations New Testament Church of God Fellowship establish a monthly Family Training Hour program designed to fulfill the following objectives: (1) motivate a sense of mission- both spiritual and secular- in each member of the family, (2) mobilize the family for New Testament service and worship, (3) magnify the importance of God’s Word in family life, (4) maintain a fresh emphasis on the work of the Holy Spirit in directing family affairs, and (5) minister to family needs and relationships. Each Family Training Hour functions according to the guidelines established by the Department of Youth and Christian Education. 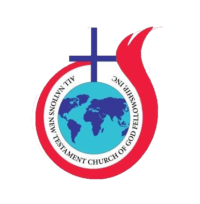 All Nations New Testament Church of God Fellowship Transportation Ministry serve to transport all people to the house of worship. Our Transportation Ministry exists to ensure lack of transportation is never a reason to prevent church attendance. 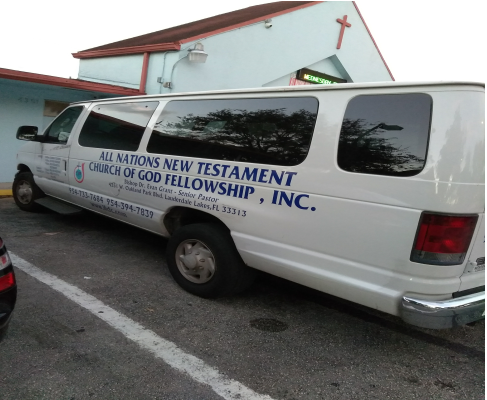 We provide reliable transportation each time there is an open fellowship opportunity with All Nations New Testament Church of God Fellowship. From the moment an individual enters the bus until they are taken home they are in a God-centered atmosphere. Finally, we will take advantage of every opportunity to engage with those that are transported. The Transportation Ministry is a key factor in every ministry. The obvious contribution of the Transportation Ministry is that it can directly affect church attendance. However, this ministry has more to offer. Our Transportation Ministry has the opportunity to impact someone’s perception of an entire church. When someone is picked up for church, the first person he/she will encounter is our driver. Our driver fosters an environment that displays the character of God and the ministry. This is a huge responsibility! Our driver makes the first impression. There is a famous cliché that says “The first impression is a lasting one”. In addition to making the first impression, our Transportation Ministry also has the opportunity to have the last impression. Because the driver is the last person that one encounters from the church. The driver can use the ride home to talk about how the person enjoyed the service. This is usually a time where honest feedback is given. As a result, the Transportation Ministry can play a key role is building the church by relaying the feedback received. For this to effectively occur, the drivers must be aware and intentional as they are transporting individuals. Our driver is not only willing to use his vehicle to transport people to and from church; he is willing to be a servant unto God. This type of servant’s heart is necessary to make the connection with those we transport. Our driver is able to display God’s character and is intentional in clothing himself with compassion, kindness, humility, gentleness and patience. Displaying God’s character is the result of an internal condition. The aim of our driver is to please God even is transporting others. Our driver is a person who does not drive out of obligation, but rather a heart that only desires to be a servant of Christ. To ensure the efficiency of our ministry, there must be a working map of the area that details your driver locations. This ensures that drivers or vehicles aren’t being overworked. 2. Encourage those within the ministry. 1.One way we encourage those within the Transportation Ministry is by selecting a “Driver of the Quarter”. This driver has worked diligently in the Transportation Ministry and has strived to be an example of the “Effective Driver”. This person receives public recognition, such as being announced to the congregation, and also receives a gift from the leader to show appreciation for their diligence. The leaders of our Transportation Ministry must be aware of what’s going on in the ministry. They communicate with the drivers about what happens at pick up, during the ride, and when individuals are taken home. This allows for the continual growth and efficiency of the ministry. There is also communication regarding the observations of the drivers. All drivers are able to communicate areas of improvement, problem areas and solutions or suggestions about how to help the ministry accomplish its vision.